Avanell Hatton age 89 of Paris, died on Thursday, November 8, 2018 at her home after an extended illness. 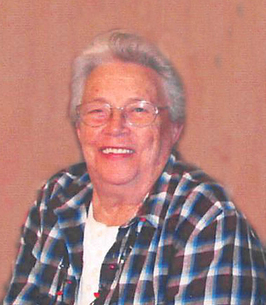 Avanell was born on February 2, 1929 in Wolfe County, the daughter of the late William Hoy and Ollie Trent Childers. Also preceding her in death was a son, David Lee Frazier, Sr. and brothers, James Childers and Herbert Childers. She attended both Wolfe County and Powell County Schools and became a seamstress and worked for a Textile Manufacturer. She had made a profession of faith and was a member of Donaldson Road Baptist Church. She is survived by her husband, Pierce Hatton of Paris, daughters, Carolyn Sue Frazier of North Middletown and Rita Williams and her husband Mike of Bourbon County. Also surviving are her grandchildren, Michael (Chris) Williams; Rodney (Carrie) Williams; Lee (Krystal) Frazier; Nathan (Stephanie) Frazier; thirteen great-grandchildren, Landon, Kennedy, Trevor, Noelyn and Tatum Williams; Amellia, Branson, Jocelyn, Paisley, Jacob, Bryson, Kaiden and Jackson Frazier. Three sisters survive, Marlene Meadows of Stanton, Lois Davis of Clay City and Patty Bellamy of Irvine. The family would like to say a special thanks to Dr. Nathan Moore and staff as well as the Hospice staff that took wonderful care of Avanell. The funeral service for Avanell Hatton is on Monday, November 12, 2018 at 11:00 a.m. at Hinton-Turner Funeral Home with Rev. Cecil Wayne Curtis officiating. Burial will follow in North Middletown Cemetery with bearers being Mike Williams, Michael Williams, Rodney Williams, Lee Frazier, Nathan Frazier, Gary Meadows and honorary bearers being the great grandchildren and Bill Henson. The family request visitation on Sunday, November 11, 2018 between the hours of 5:00 p.m. – 8:00 p.m. at Hinton-Turner Funeral Home. In lieu of flowers, the family requests expressions of sympathy to Donaldson Road Baptist Church or Bluegrass Hospice Care. To send flowers to the family of Avanell Hatton (Childers ), please visit our Heartfelt Sympathies Store. We encourage you to share any memorable photos or stories about Avanell. All tributes placed on and purchased through this memorial website will remain on in perpetuity for future generations. I am so sorry to hear of Avanell's passing. Thoughts and prayers go out for each of you. May God give you peace and comfort. I am so sorry to hear of her passing. Prayers to the family.